Room for all your Dreams! 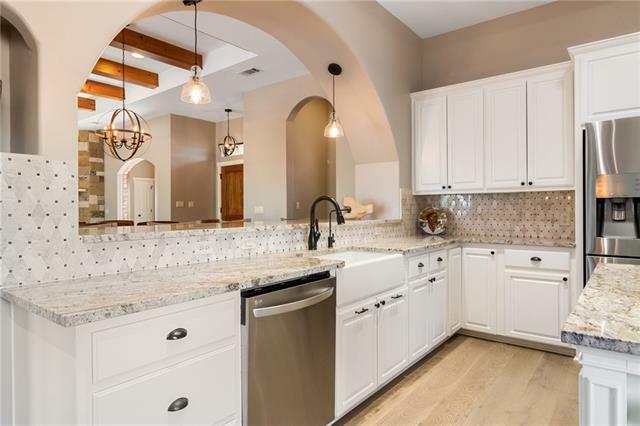 Stunningly beautiful Custom Texas home with high-end upgrades thru-out, nestled among Century Oaks on 9+ ac., boasting scenic views, ~less than 15 mins.~ from shopping, hospital & major highways! Spacious, open floor plan w/natural light & fabulous chef's kitchen w/granite, SS, painted cabinetry, mult. entertaining areas, complete w/media room & gracious outdoor living spaces. Luxurious master retreat w/walk-ins. Cul De Sac location & gated entry ensures privacy.